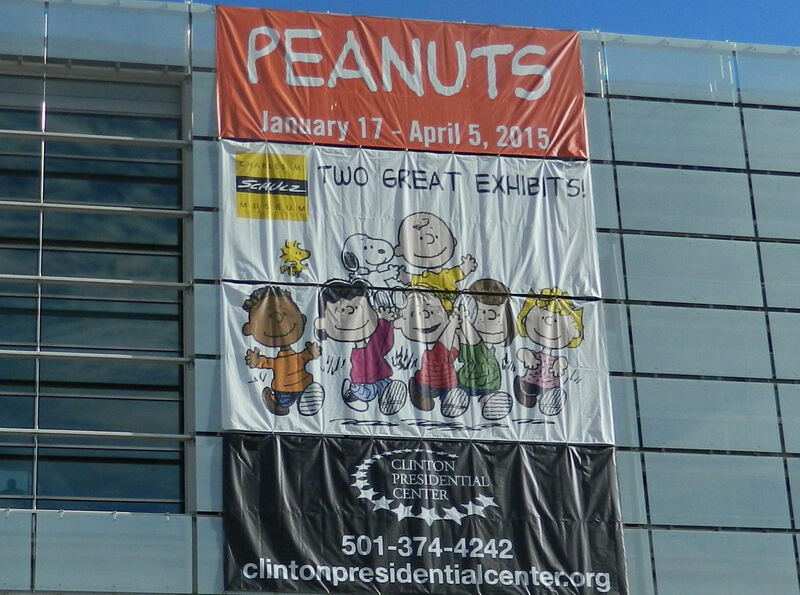 Yesterday was Opening Day for two new exhibits about Charlie Brown, Snoopy, and the whole Peanuts Gang at the Clinton Presidential Center in Little Rock, Arkansas. And boy, the kid part of me was super excited to check it out – especially when I heard that the top dog himself would be making an appearance! 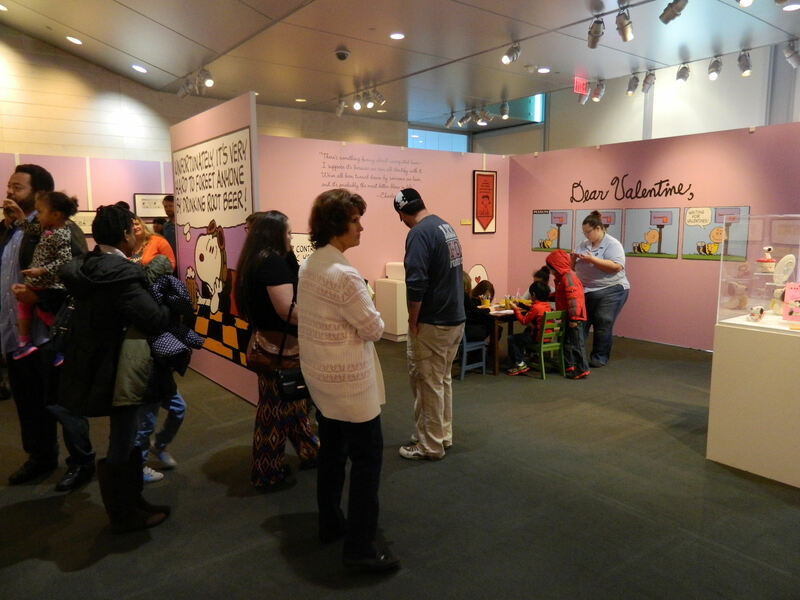 From now until April 5, the temporary exhibits will be available for viewing by kids and young-at-heart adults and, frankly, anyone who likes to smile while reliving the sweet natured and sometimes bittersweet antics of these beloved characters. 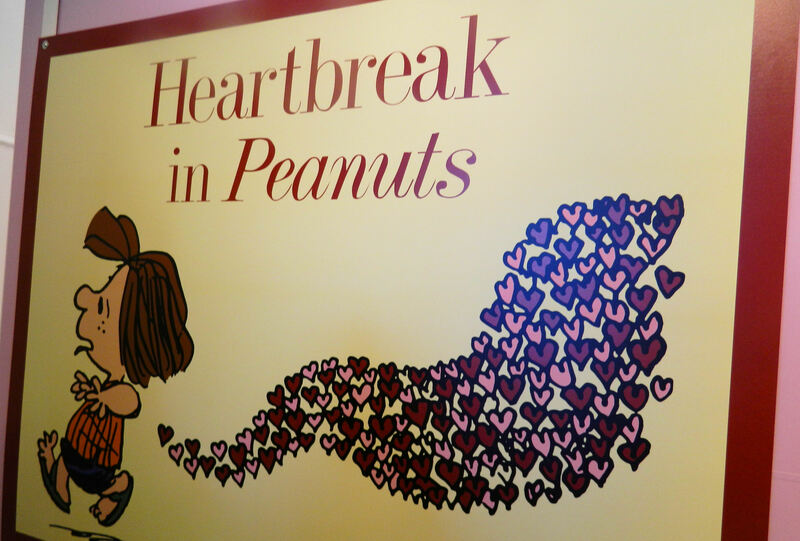 Peppermint Patty – chased by love? 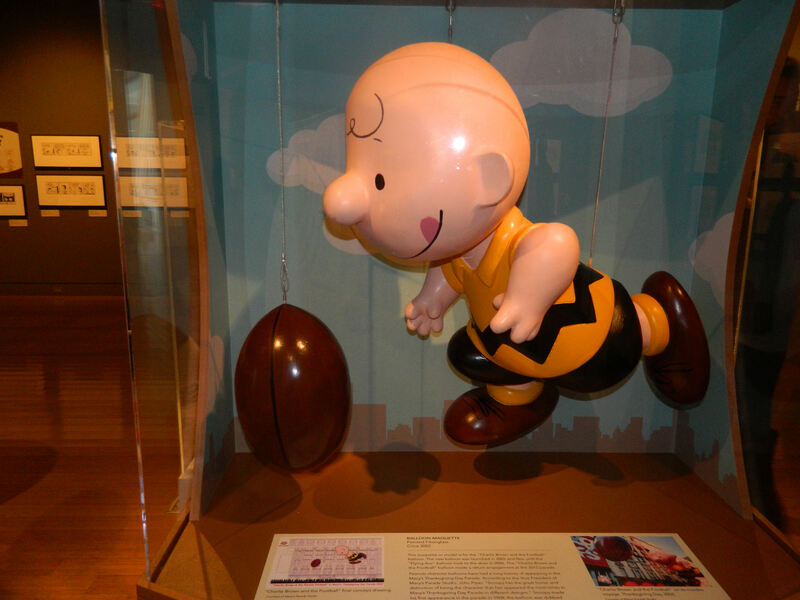 “Heartbreak in Peanuts” and “Pigskin Peanuts” are the names of the exhibits, which have been pulled from the Charles M. Schulz Museum and Research Center in Santa Rosa, California. I was invited, along with several other bloggers and their families, to attend Opening Day. The Center provided lunch and a guided tour of the exhibits but all opinions are my own. The Heartbreak Exhibit focuses on the theme of love that ran throughout the years within the comic strip. 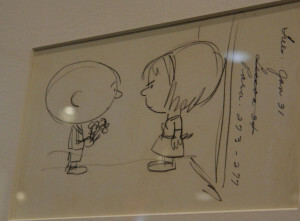 There was the unrequited love Charlie Brown had for the Little Red-Haired Girl, Lucy had for Schroeder, and Sally had for Linus; and the not-so-romantic letters Snoopy wrote to various companions. Corry Kanzenberg, from the Charles Schulz Museum, disclosed several “secrets” and interesting facts during her talk and tour on Saturday. 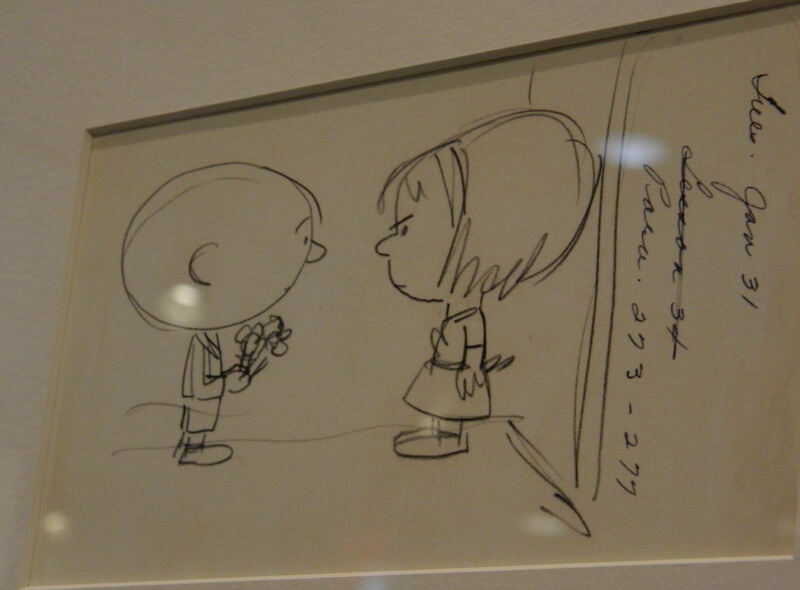 She noted that the Little Red-Haired Girl was based on a real lady who had turned town Mr. Schulz’s marriage proposal years before. 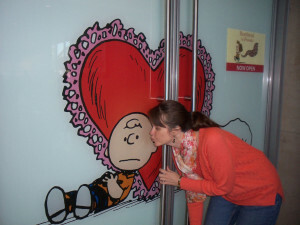 And Sally’s affectionate use of “Sweet Babboo” regarding Linus was actually a phrase Schulz’s wife called him. 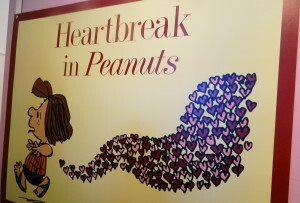 I found this exhibit to be an absolute delight, with colorful paintings of the characters and framed reproductions of various strips centering around the theme lining the walls — which are painted the bright pinks and purples you’d find in valentines. 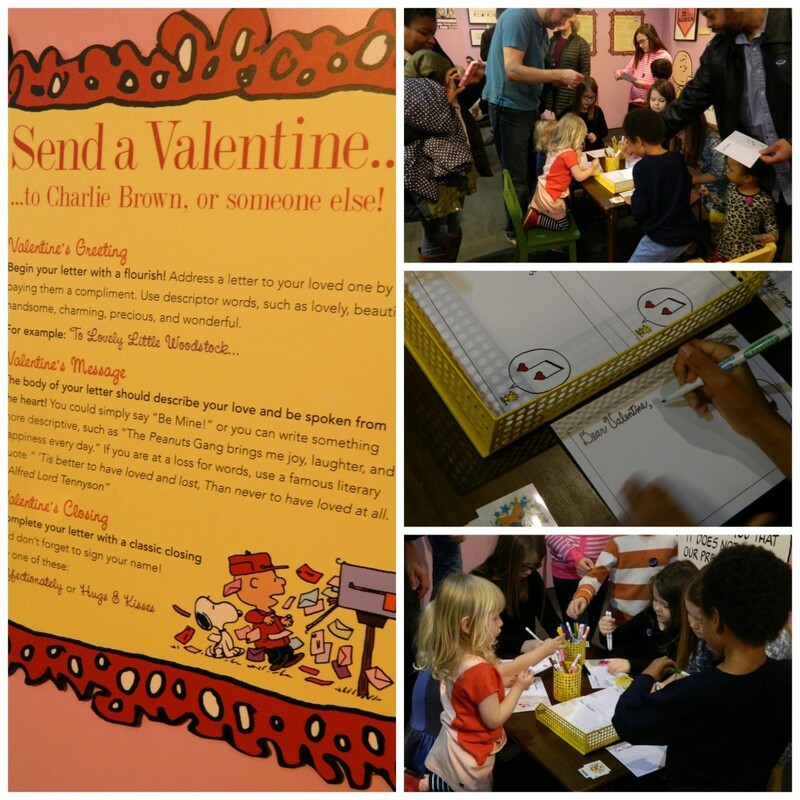 Speaking of valentines… the area also has a cute hands-on space set up for children to color and then “mail” a valentine to one of the characters. It was very popular while I was there! By the way, I noticed that the strips are hung above kids’ heads (to keep them from being touched?) 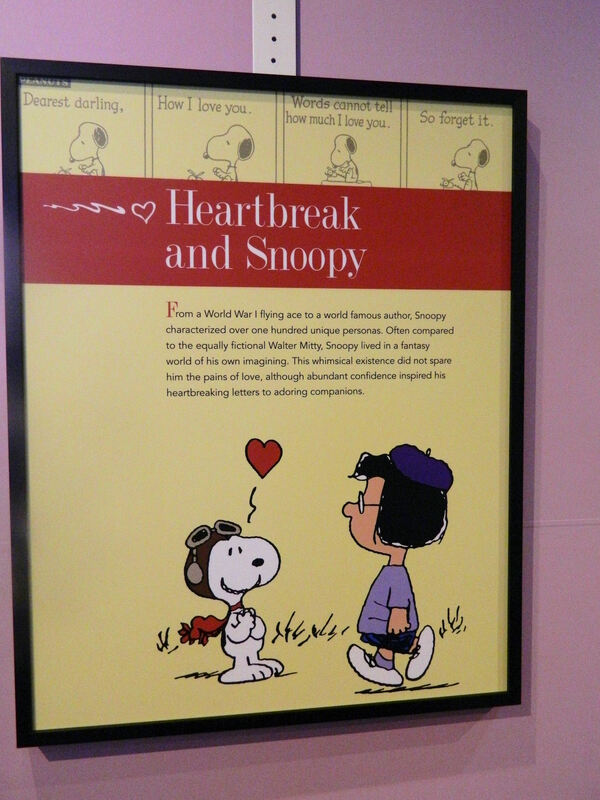 but a glass case full of Snoopy paraphernalia is at their eye level. Smart! It’s okay Charlie Brown – I love you! 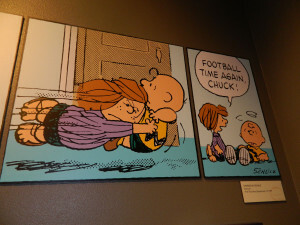 The second exhibit features 50 football-themed strips from the Peanuts Gang. 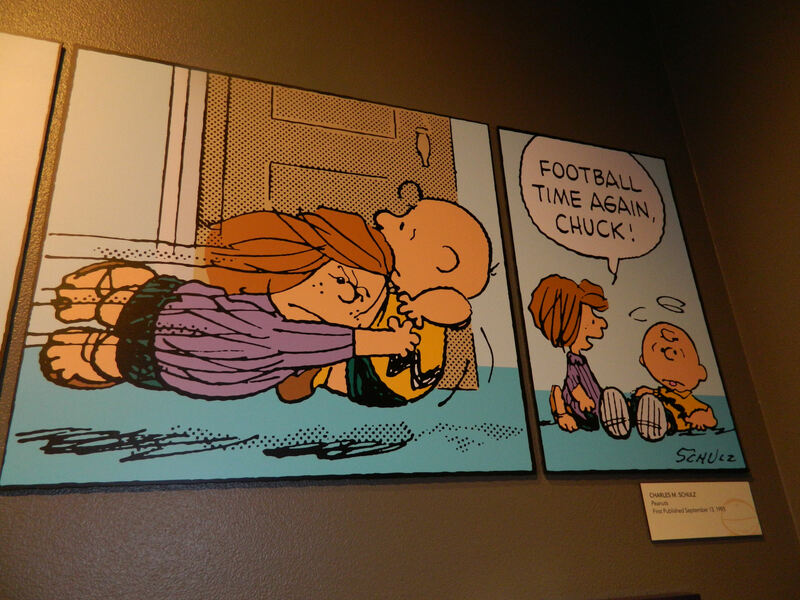 In all, Schulz actually drew 250 pigskin type strips. 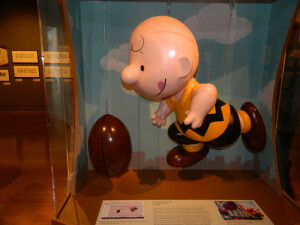 This included the infamous ones of Lucy pulling the football away just as Charlie Brown ran over to kick it, ending with him falling flat on his back. Kanzenberg disclosed that poor Charlie tried this a total of 36 times but was never successful – something I heard several kids complain about indignantly. “Why was she so mean to him?” I heard one little boy ask his sister. I guess the answer could be borrowed from Who Framed Roger Rabbit: because she was drawn that way. This exhibit area also has a photo place for kids (and fun-loving adults!) 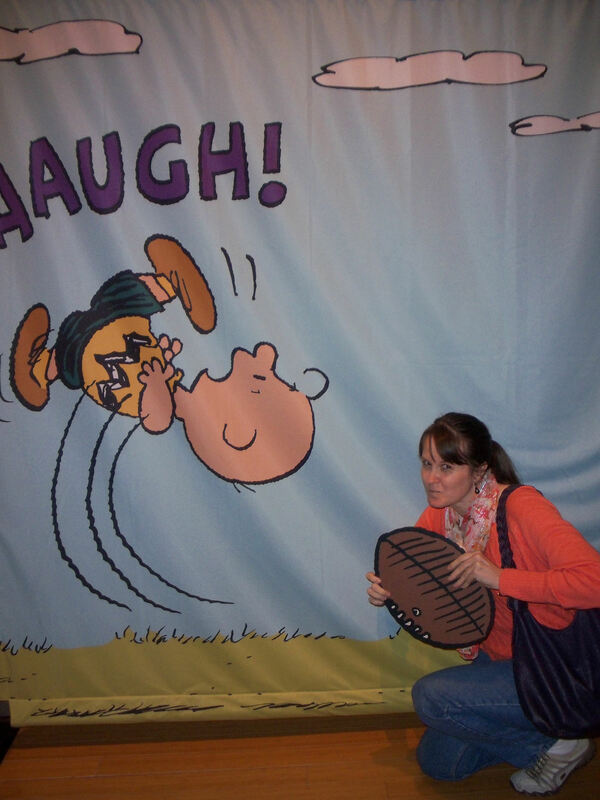 to hold a football and even wear a helmet if they want while Charlie Brown is flailing and uttering the immortal, “Aaugh!” Or snap a picture beside a life size statue of a much happier looking Charlie. Overall, I enjoyed myself tremendously and couldn’t stop smiling all day. Several times, strangers would strike up conversations while we were looking at the various strips to share favorite memories. One lady brought up the very thing my Mom and I had talked about earlier. There are very few cartoons that span the generations like Peanuts does. It’s fascinating to think that these are characters that my Mom grew up with, that I grew up with, and that children still love. Although I enjoyed them all, my second favorite character was the piano-playing, Beethoven-loving, straight-talking Schroeder. But my very favorite (and I’d guess everyone else’s too) would have to be Snoopy, the dog I think we all wish we had – whether to feed, talk to, skateboard with, or do a Snoopy dance with! Wave your paws in the air like you just don’t care! 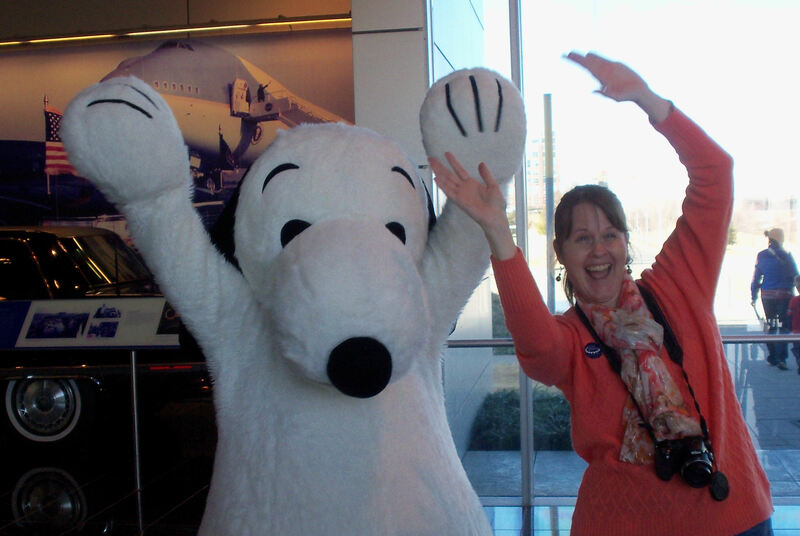 The day I went was a special family activity day, but the Clinton Center will be hosting 3 more family-focused days over the next couple of months. 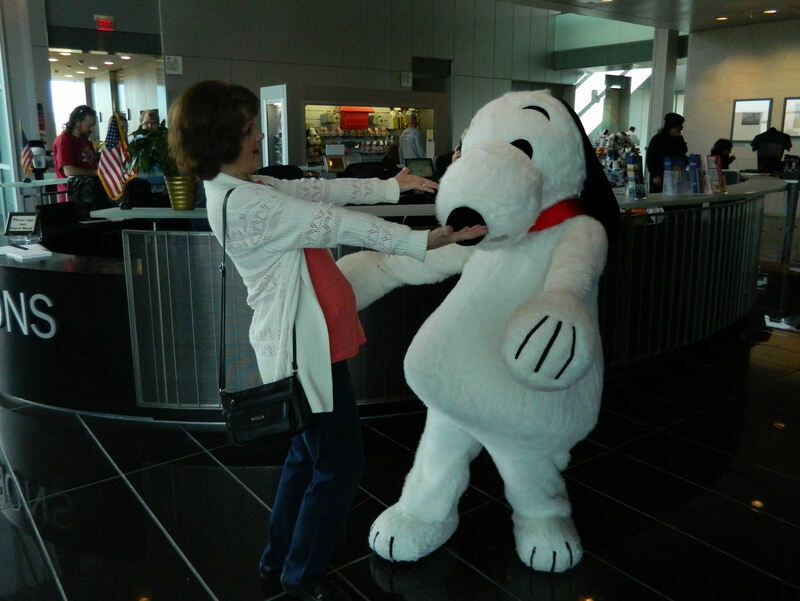 On January 31 there will be a Pre-Super Bowl Party, and on February 7 and February 14 there will be various “Valentine Family Programming.” And I’ve heard that Snoopy will again be making appearances. It’s so much fun Charlie Brown! So mark your calendars and be sure and check it out. NOTE: The Center is located at 1200 President Clinton Avenue in Little Rock. Hours are Monday-Saturday from 9am to 5pm, and Sunday from 1pm to 5pm. Loved reading this, thanks for the info. Keep up the good work! Thanks Cheryl! More posts coming soon – promise. This is a great article. And great pictures too. It would definitely be a great day for the whole family. It made me feel like a kid again and that was so much fun. Thank you for sharing. Glad you liked it! It was just such a fun and cute exhibit. Loved it! 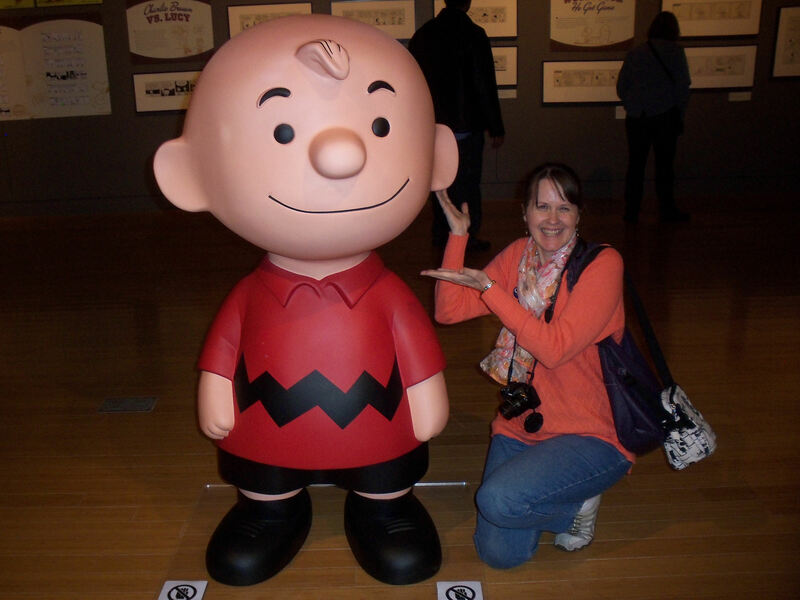 The beloved characters of Charles Schultz have held a special place in the hearts of people worldwide. So happy to see the exhibits are available near us. 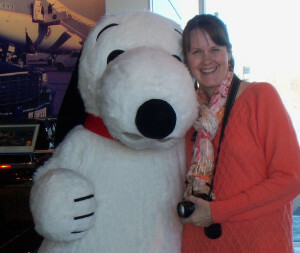 Everyone needs an occasional Charlie Brown and Snoopy fix. Loved the article, Deborah. Thanks. I agree completely! They really are so popular and huggable. Thanks for the nice words! 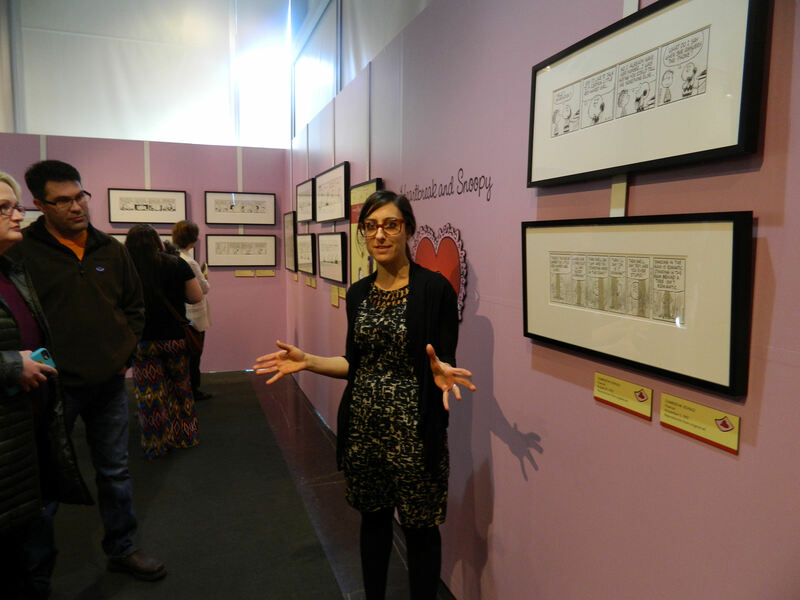 *whispers* You know, as I walked around the exhibit reading through all the comic strips I found myself agreeing quite a bit with Lucy. Ha! At least she always knew her mind. Loved the article, especially the pictures! 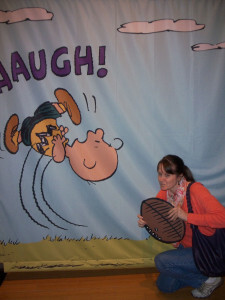 I can’t believe you pulled the football on Charlie Brown! I couldn’t help myself Jana! Hehe. Thanks for stopping by. It brought back old memories of the comic strips. Thanks for the walk down memory lane for me. Glad you like it Hayes! Yep, the exhibit was like a reunion with very good friends. Lovely! What fun! I loved Peanuts growing up and still love them now. I always watch the old tv specials, especially during the holidays. Thank you for sharing this with us. I always watch the specials too! And I’m actually really excited for the new 3D movie, which is coming out Nov. 6. Yay Snoopy! OMD! As soon as I saw your blog I HAD to read it! Like many of you, I’ve been a HUGE fan all my life. I have clothing, ornaments, a clock a light fixture lol, DVD and I’ve PVR’d shows as well. I wish I could get there to see this exhibit! Wow, sounds like you’re a super fan Sharon! I wish you could get over to see it too. It really is so much fun. I just couldn’t stop smiling all day! I really did Natalie! Thanks for dropping by. It’s true the Peanuts is one of the few cartoons that spans generations. My kids love the Peanuts and I grew up watching them too. It’s nice to have a cartoon that everyone loves.